Michigan Sugar - Seedex, Inc.
• #3 Variety in 2017 MSC 8 Trial Avg. • #4 Variety in 2017 MSC 8 Trial Avg. • #5 Variety in 2017 MSC 8 Trial Avg. Actual results may vary. 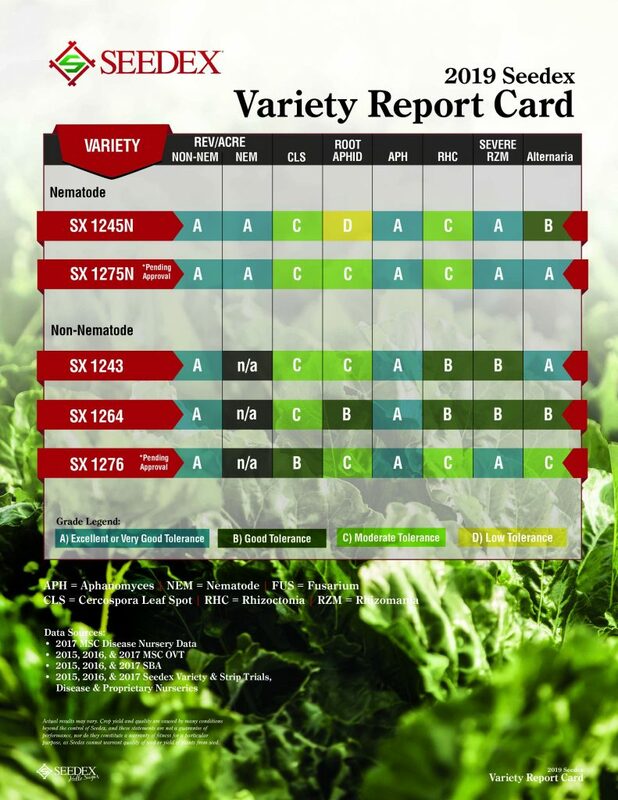 Crop yield and quality are caused by many conditions beyond the control of Seedex, and these statements are not a guarantee of performance, nor do they constitute a warranty of fitness for a particular purpose, as Seedex cannot warrant quality of seed or yield of plants from seed.